Ever wondered how to fix your credit? Is there an easy way to do free credit repair? YES! So, I blog about freebies, but I write about money and financial education. Sounds boring, right? Yeah… Maybe. But, did you know that being smart about money takes more than just knowing how to save money when you buy stuff? It takes real, financial savvy to actually get to a point where you’re comfortable and don’t have to worry about money. That is my ultimate goal. I’m not money hungry. I’d rather not have to think about it. Truth is, I’ve struggled. I’ve been completely broke. One time I literally lived on a bag of potatoes for the week because my bank account was negative and I had no money. None. I ate baked potatoes. But, at least I ate. At that point in my life, I thought about money all the time. Because I didn’t have any. Makes me kind of an expert on money – because I went from not having any to having plenty. So, how can you repair your credit? It’s easy! How did I go from being dead broke to having enough cash on hand to buy the property next to me? I’m not talking about a making down payment and getting a mortgage. I’m paying cash for the land. It’s amazing, freeing, empowering… and awesome! I started by cleaning up my credit. First, grab your free credit report. Not sure if you have credit? Or, if it’s good or bad? Go here and get your FREE credit report, score, monitoring and more at Credit Sesame – Sign up in 90 seconds. No Credit Card needed. Not trying to brag, but mine’s in the 800s. It used to be in the 500s. I wrote more about that here. Second, if there’s anything negative reported on your credit, start writing! It may sound crazy, but you need to your creditors to repair your credit. Before you start looking for a credit repair letters PDF or credit repair software, consider this. 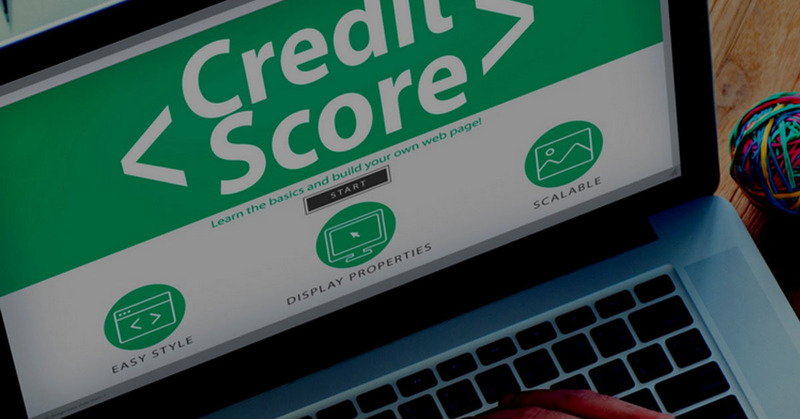 Credit bureaus get thousands of credit repair letters every day. They actually scan them automatically to detect form letters, and ignore them! It’s much better to write original credit repair letters in your own words to get results. The easiest way to send Credit Repair Letters is using the credit bureaus own websites. I started by paying attention to my Credit Report, and taking care of my stuff. Now, that doesn’t just mean paying your bills on time (although that is important!) That means having credit monitoring with a Free Credit Report, so if someone tries to steal your identity you can do something about it. With Credit Sesame you get your free credit score AND you get real-time alerts to warn you if someone is trying to steal your identity! 100% free – no hidden fees. No credit card or subscription. Nothing to cancel. And, signing up won’t affect your credit score! You can also get a free credit report here. Then, I paid off everything I owed. Sounds crazy right? It’s actually not that hard to do. It takes discipline and time. Oh, and yes it takes money. But, how much do you waste on stuff you don’t need? How did you get into debt in the first place? I became debt free. Starting with the biggest account I owed on, and using my Free Credit Report, I paid as much as I could, whenever I could. No, I did not make the minimum payment, I always paid more. That means making sacrifices, I’m not gonna lie! I also stopped spending money! Do you really need another pair of shoes? Or, could you use that cash to pay off a debt? It is an amazing feeling to be debt free. Actually, I even found one at a garage sale for $5! I’ve also shopped Coach Outlet many times. I’ve never paid full price. And I don’t do it often. They’re beautiful, and I love that I can spoil myself with one thing – especially knowing I got a steal of a deal. That doesn’t mean buying a $500 Coach bag every other month. It means I spoiled myself rarely – maybe once a year – on something valuable that I got a very good deal on. Everything else, I put off. I don’t need more designer clothes, shoes, or a new car. My car is 19 years old but runs great. It’s just fine. My husband’s truck is gorgeous, even though it’s 10 years old. Oh, and guess what? We paid cash for it when it was 5 years old… because we are debt free. So, get started. Check your free credit report and learn how to clean it up at Credit Sesame (click link). Their Identity Restoration Coverage will provide you with an Identity Theft and Fraud Customer Guide, letter templates, phone numbers and additional resources. On Credit Sesame, click “My Finances” then click “My Financial Goals” to learn how to meet your personal goals. And be sure to check their Free Guide: How to Fix Your Credit! Stay safe online with Gimmie’s Big List of Fake Freebies to Avoid! We are the home of the Gimmie’s Big List of Fake Freebies to Avoid. We research all samples before we share to keep you safe online. You may not realize it, but scammers and spammers are notorious for posting fake offers. There are lots of reasons why people post fake freebies, but usually it is about money. They build up a website or Facebook fanpage and then sell it for profit. Or, they take your info submitted in their alleged freebie form, and sell it to Spammers.